Hi everybody, this is Kyle Davis with Integrity Financial Group. 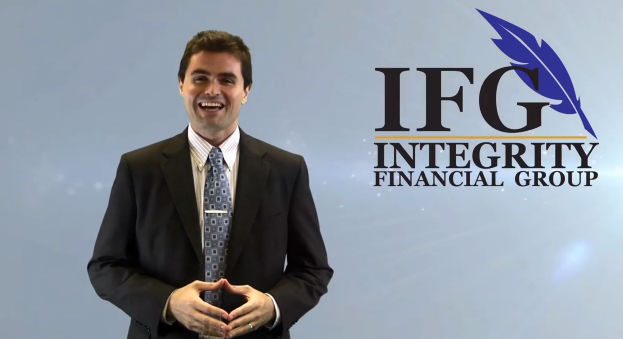 I am an independent financial advisor in Orlando, FL. There are a lot of reasons that someone should have a 401(k) or 403(b). These two plans work very similarly, and for the purposes of this article, I am going to talk about a 401(k). Understand that if you have a 403(b), all of this applies to you as well. Tax-deferral coupled with an employer match is more than enough to convince people that putting money in one of these plans is a wise and worthwhile step in an overall retirement picture. A large portion of the American workforce will automatically enroll in the company 401(k) without so much as a second thought because they have been told, “It’s the right thing to do.” For some it is…but not everyone. Would it bother you if I told you that a 401(k) might be one of the biggest traps in the history of finance? I’m about to explain why I don’t think everyone should have a 401(k). Please keep an open mind and realize that everything I am about to talk about goes deeply into financial principles that you may or may not be aware of. Please take everything with a grain of salt, and do not make any huge decisions based on what you read here. It’s always best to consult with a financial advisor to discuss your overall picture. In other words, don’t ruin a well thought-out plan just because of an article you read on the Internet! Also, keep in mind that some of the concepts in this article might spur you to want to learn a little more, which is never a bad thing. Do your research. I’ve spent years doing mine. 1) Tax Deferral. This is often highlighted as a benefit to saving into a qualified plan such as a 401(k)! How could it be a bad thing? The very word “deferral” is synonymous with the word “postponement”. Qualified plans are tax postponement plans. A 401(k) is a government controlled plan that allows you to pay your taxes later, at interest. The taxation of those dollars will occur at whatever tax bracket we are in when we take the money out…at interest. See, when you are watching your dollars grow tax deferred inside a 401(k), the government is also watching their share grow as well. They also have the power to make and change the rules at any time. If you had put $50,000 in a 401(k) and it grew to $500,000 – how much of that money is actually yours? The government might collect 20, 30, or 40% in taxes. Plus, you started with $50,000 of earnings – the government started with $0. How much of your 401(k) money is actually payable to YOU? Even if you use a Roth 401(k) option, you’re still exposed to the other two problems. 2) The 401(k)’s underlying investments. Most people know that the 401(k) isn’t a type of investment. It is an account that holds the investments. We still have to pick which investments to put money into. The problem is the choices that are available to us. They are usually mutual funds…but let’s go a step further. Lets discuss the fastest growing investment type in the 401(k) scene – the Target-Date funds. These funds are riddled with complexity, turnover, over-diversification, and what’s worse – they are rapidly becoming the default investment in auto-enrolled 401(k) plans through the country. According to a 2010 report released by Callan Associates, these types of funds have skyrocketed to a 69.3% default enrollment rate among company sponsors. They are an easy sell because they portray the ultimate illusion of control. In reality, neither employers nor employees understand these funds at all, and yet they are taking over. Here’s a disturbing bit to think about. According to a Morningstar report from obtained disclosures from the SEC, more than 56% of target-date fund managers had invested NOTHING in the mutual fund shares that they manage, as of 12/31/2009. Also, of the 25 largest target-date funds, 20 out of 25 have not been in existence for even 10 years. Lastly, out of the 14 biggest target-target date series, 10 of them had average yearly total fees exceeding 2.5%. That means you’d have to get a 2.5% gain each year just to break even! This is not counting 401(k) admin fees. If you’re in a target date fund, do yourself a favor and learn more about them. They can carry tremendous fees, confusion, and hypocrisy. The people are really going to freak out once they realize that target-date funds may contain as much as 90% stock. 3) The need for capital. We are locking money away in a 401(k) and by comparison have little in actual liquid savings. What will happen when we need money to make a major purchase? Most often we will go and borrow the money, pledging our future to pay back the loan as well as paying interest. This is extremely counter productive. For a more in depth look at this topic, check out my video here or read the text version here. -Taking the control of our money away from us and forcing us to finance purchases and pay interest. Company matches can be a good offset to these problems, but when you stack them together, a company match will hardly make it worthwhile for someone to pay unknown taxes, gamble on Wall Street with all of its fees, and pay finance charges all at the same time. Is having a company match worth all of these other issues? I’m not convinced, and this financial planner has never had nor will he ever have a 401(k). Believe it or not, there are some great alternatives out there to 401(k)’s! If you want to discuss options, or want to meet with a financial planner for any other reason, visit us online or call today at 888-668-1414 to schedule a free complementary consultation. Thank you for reading!